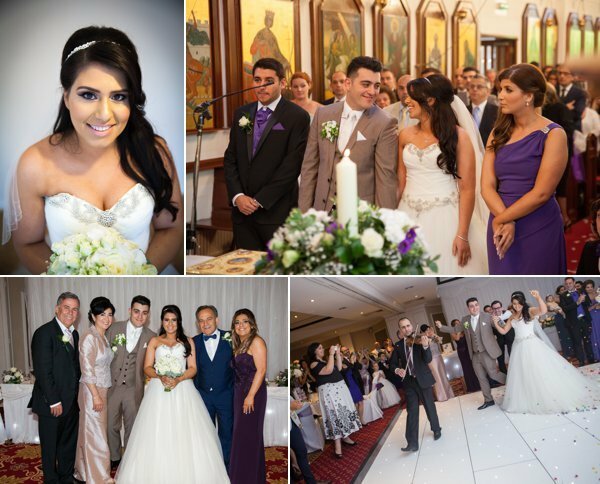 Kwok and Leanne married at Grand Station Banqueting Suite in Wolverhampton. 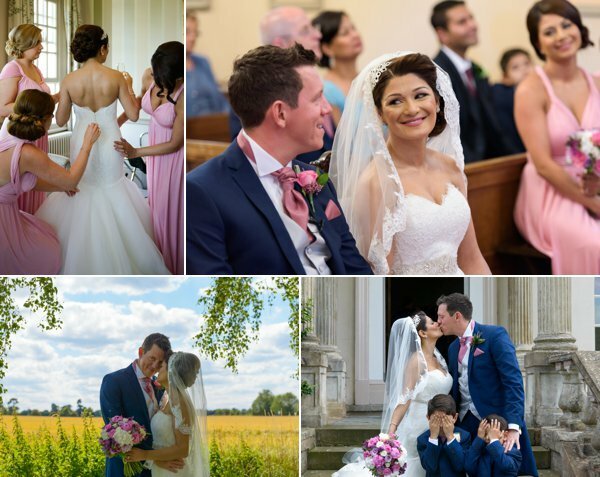 Leanne got ready at home and Kwok headed to the venue to finish off his last preparations, where two of our team were waiting to capture Kwok and his family arriving. The couple had a civil ceremony followed by a hindu ceremony within Grand Central. For the civil ceremony, Leanne wore a lovely 2 piece outfit. The top was a silver and blush sequin blouse with a blush pink skirt to compliment the blush and white flowers and the bridesmaids’ pink blush dresses. Ravita Pannu created the 2 very different, beautiful makeup and hair looks. After the civil ceremony the couple had a traditional Chinese tea ceremony, where Kwok’s family give the couple gifts and share herbal tea. Once the couple were officially married, they had a few family photographs outside the venue and a break where a small breakfast was served. 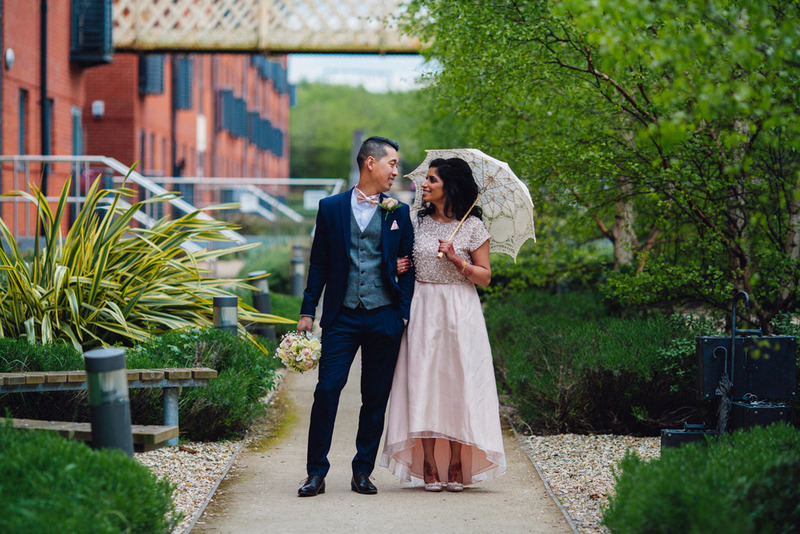 This allowed Kwok and Leanne some time to get changed for the traditional Hindu wedding. For the Hindu wedding, Leanne wore a stunning traditional indian wedding lengha, which was mainly red but full of vibrant blues and oranges. 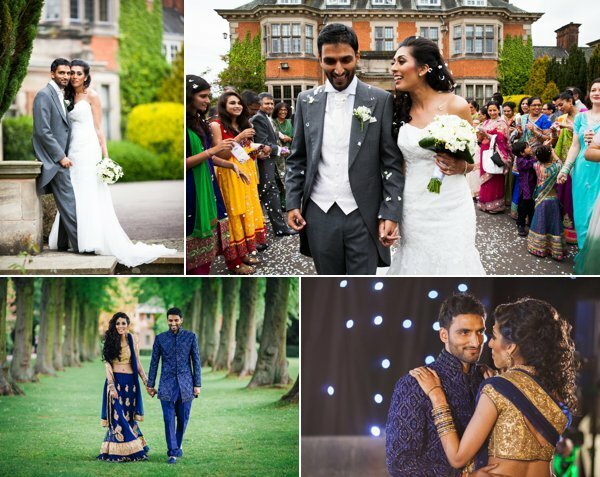 Kwok wore a traditional indian wedding sherwani in blues, yellows and gold detailing. Once the wedding finished, the couple and their guests head back to the foyer area where there was a drinks reception, canapés and a little Photo Booth set up. We had the opportunity to float around and capture guests mingling as well as take some shots of the decor and details within the reception hall. The couple made their entrance straight to the cake table, where they had photographs with friends and family feeding them cake. Starters came out, which lead to the could sitting down for speeches. Both Kwok and his best man gave heartfelt and funny speeches. After speeches the couple stepped onto the dance floor to take their first dance as husband and wife. They danced to Coldplay’s Magic and the dance floor soon opened for ally he guests to join them. Thank you for having us be part of your day Kwok and Leanne. We wish you a wonderful married life.